We had a wonderful summer out at the campground this summer. We played at the park, did cannonballs at the pool, enjoyed sitting by the campfire and eating too many s’mores! The highlight for my son of the entire camping season was the dogs that were at the campground. He loved to pet every dog that walked by the camper! 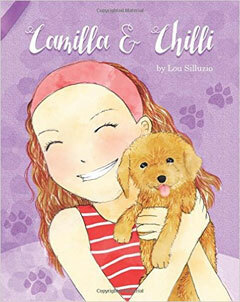 “Camilla and Chilli” by Lou Silluzio is the story of Camilla, a fearless little girl…well, almost fearless. Camilla would climb trees and ski down slopes nothing seemed to scare her, well almost nothing! Camilla was terrified of dogs! It didn’t matter if the dog was big or small, Camilla was scared of them all. Will Camilla be able to overcome her fears? This summer we were around a lot of dogs at the campground. It didn’t matter if the dog was big or small, calm or jumpy, my son just wanted to pet them all! 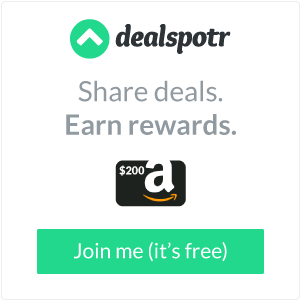 It took some time for us to teach him the proper way to approach a new dog, this story helped to teach my children what to look for when approaching a new dog. The author has taken the time to talk about the signs that a dog may show when he’s a nervous or mean dog. It’s very important to be aware of these things when approaching a new dog. He also shows what to look for when a dog is a friendly dog. I would have liked if the author had taken a few moments to talk letting a new dog sniff your hand before you pet it, just so it gets to know you a little bit. This was one of the lessons several of the dog owners we met over the summer stressed to my son. My children and I also talked about how you should never put your face close to a dog just in case it bites. “Camilla and Chilli” has a great lesson about facing your fears. They say knowledge is power, and the more Camilla learned about dogs the more she discovered that they aren’t as scary as she thought. It turns out that once she let her fears go she discovered that dogs could be your very best friend! I also love how Mr. Silluzio shows that Camilla can be brave. I think it’s important for my daughter to see that girls and run and jump and be brave too, it’s not just for boys! “Camilla and Chilli” is another great addition to the bookshelf of any little girl. We have read several other books by Mr. Silluzio and we look forward to reading more! *Disclosure: We received a complimentary copy of ““Camilla and Chilli” in exchange for this review. All opinions are 100% my own.